Philip Seymour Hoffman died yesterday. This was the first and only thing we were told. Arguably, we were told too soon. The news came via a tweet from the Wall Street Journal, preceded by that all-too-familiar word, “Breaking.” But aside from the text of the tweet itself, there was no additional reporting to verify the announcement. That would come approximately 17 minutes later . In the interim, the news went viral. Online publications were willing to believe the Wall Street Journal before it posted a news brief to corroborate its tweet, but prefaced its own writeups and retweets with disclaimers like, “no confirmation yet, but …” Readers were also reticent as they sent the news further into the world, asking, “Is anyone else reporting this?” Some expressed their hopes that the news was a hoax. In short: Twitter and, within the space of 17 minutes, the Internet-accessing world may have known that Philip Seymour Hoffman had been found dead in his apartment before his three young children, with whom he was scheduled to spend the day, and his longtime partner, Mimi O’Donnell. Though the idea of that chills me to the bone, Philips Media Training founder Brad Phillips asserts that it’s not unusual. Though print journalists once voluntarily withheld names of victims until next of kin were notified, in the age of the Internet, where photos of a crime scene can be tweeted by passersby long before the first reporters reach the site, there’s no longer a hard and fast consensus around withholding names. For 17 minutes, the time it took the Wall Street Journal to write a story to back up its tweet, we could’ve gone without knowing that Philip Seymour Hoffman had died. Since Hoffman’s children and partner were in the same city and expecting him, it’s likely they were contacted around the same time reporters were talking to officials on the scene. It would’ve taken only minutes to confirm this before firing off tweets and updates. 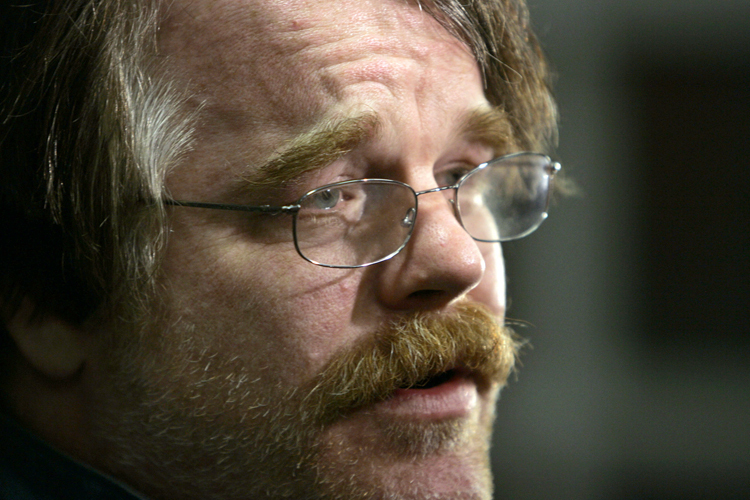 Within an hour of the New York Times post, the Daily Beast had an “Inside Philip Seymour Hoffman’s apartment” report with even more details on the quantity of drugs — five empty envelopes and two full — found onsite. By evening, quickly produced retrospectives of Hoffman’s acting career were airing on cable and competing for ratings alongside the Super Bowl. Any moral quandary the reporting of his death should have caused was supplanted with tribute montages. For years, the ethical boundaries of online reporting have been shifting.Perhaps some of the starkest evidence of that emerges when celebrities die.From Michael Jackson to Heath Ledger to Whitney Houston, we can recall conflicting reports, unfounded cause-of-death speculation, and blatant rumors being reported as fact by the likes of TMZ. For some, this style of reporting is good enough: Finding out first then sorting out the accuracy of the details later suits them just fine. In its ethics code , the Society of Professional Journalists has an entire section on “minimizing harm,” guided by the principle that “ethical journalists treat sources, subjects and colleagues as human beings deserving of respect.” The section cautions reporters to show compassion and be sensitive when investigating a tragedy. It urges them to “show good taste” and “avoid pandering to lurid curiosity.” Increasingly, “minimizing harm” is becoming a quaint concern, a nostalgic vestige of a bygone era in journalism. Now, breaking news is breaking us. We’re cycling through tragedies at lightning speed and without affording ourselves the adequate time to reflect and to grieve. The pursuit of journalistic expediency is eroding our empathy, and readers are left the worse for it.